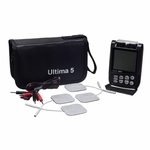 The InTENSity™ Twin Stim®III combines Tens and EMS therapy in one beautiful digital device. 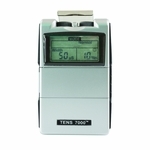 The Tens has 4 Modes (Burst, Normal, Mod1, Mod 2) and the EMS has 3 modes (Synchronous, Asynchronous and Delay). 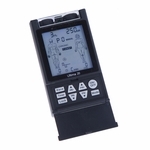 This device is an industry leading 105mA. 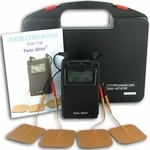 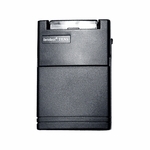 The Twin Stim®III comes standard with an AC Adapter and is easy to operate. 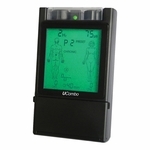 Proper skin care will help make your IF program more comfortable and trouble-free. 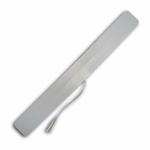 A/C hook-up is preferred and battery is for short term emergency care only. 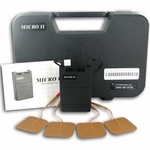 Apply the electrodes to the exact site indicated by your physician following the instruction included with the electrode system. 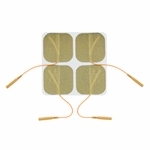 Make sure that the electrodes are placed firmly to the skin making good contact between the skin and the electrodes. 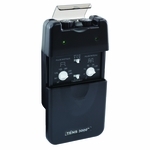 The InTENSity Select Unit is supplied with two twin lead wires. 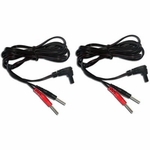 When applying only one pair of electrodes, plug the dual connector into the socket "Channel 2" and the electrode switch is set in the "Two Electrodes" position. 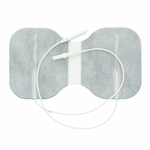 Use both sockets when applying two pairs of electrodes.